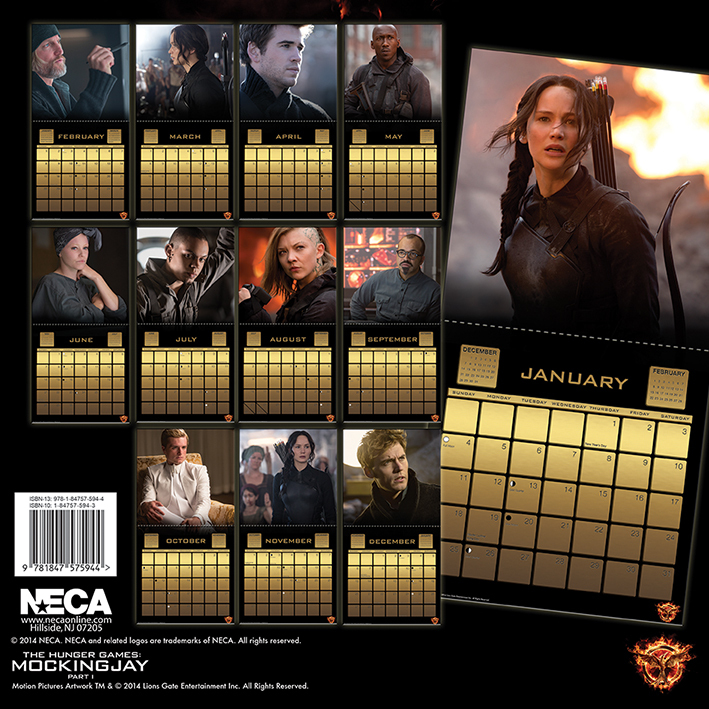 Details and images from the official calendar for Mockingjay - Part 1 have been released by NECA. 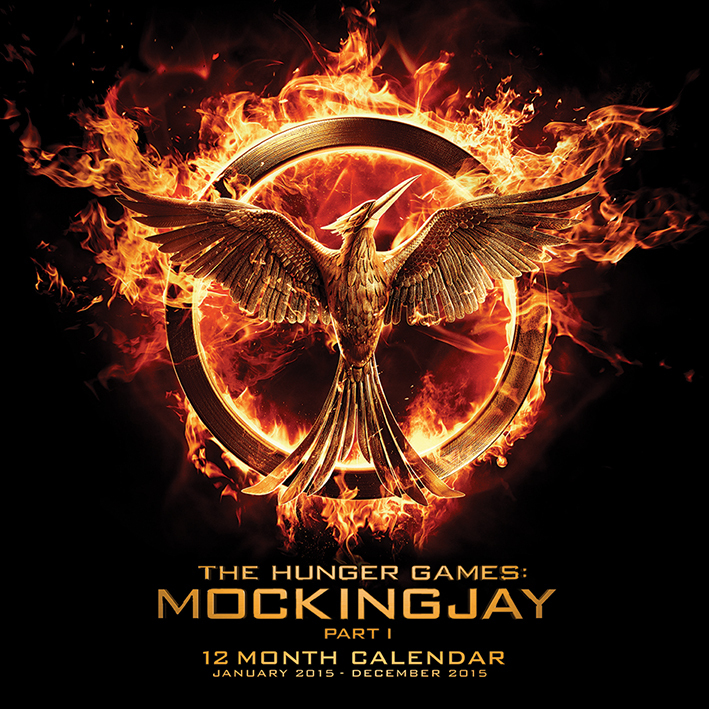 The calendar covers Jan - Dec 2015, and features images from the movie. Most of the stills featured have been released already, but the May image of Boggs and the July image of Messalla are new.